We service all brands of two-way radios. Professional Wireless Communications has one of the most experienced and technically capable teams in the region with over 125 years of combined experience in radio technologies. We provide quick-response, localized repair service for all brands of two-way radios including Hytera, Motorola, Kenwood, Icom, and Vertex. Our in-house service department is capable of performing nearly all work locally saving you time and money. We can design a system to provide seamless coverage to meet the needs of your environment and offer scalable solutions to provide for potential changes and growth in your needs. Professional Wireless Communications has been providing radio communications solutions to the Twin Cities metro area since 1998. We have helped businesses bridge the communications gap through the use of two-way radio and related equipment. We carry portables, mobiles, base stations, earpieces and headsets for nearly any application. 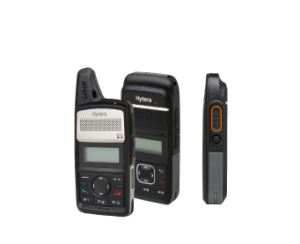 Our popular brands include Hytera – the new global standard in digital radio – as well as Kenwood and Icom. PWC is the premier provider in digital radio technologies. We can help you implement a digital wireless solution to improve safety, increase productivity, and enhance connectivity within your business. 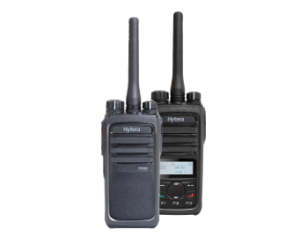 DMR digital two-way radios will elevate the way your business communicates. They offer better coverage, clearer audio, individual calling and a host of other amazing features. Plus, digital radios boast a longer battery life than analog radios, so you can focus more on the job at hand. 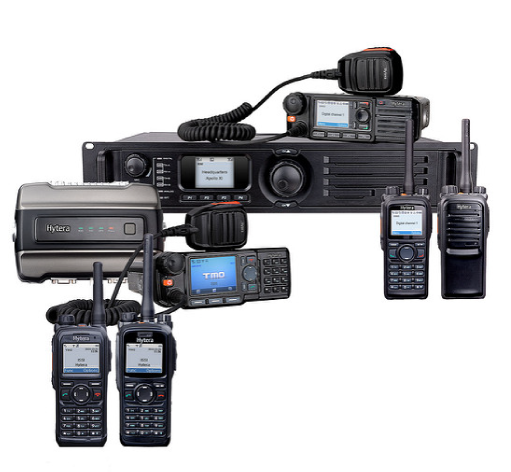 All of our DMR radios are rated for higher reliability – so less repairs are needed long-term. Some models are engineered for maximum durability for any job conditions and come complete with waterproof/submersible capabilities. Digital two-way radios preserve crystal clear audio even at the farthest range of communication. The DMR protocol is designed to give the ability of sending two transmissions simultaneously on the same frequency effectively doubling frequency capacity. They also offer a greater range per distance compared to analog radios. Finally! 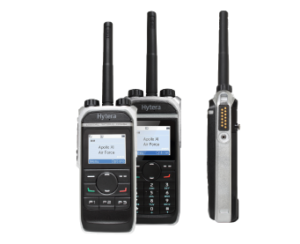 A radio that allows you to connect quickly and clearly to anyone in your company from virtually anywhere with one push of a button – including multiple groups, individual calls, and all call for emergencies. The transmitting radio also sends out its identity, so you always know who is transmitting. Our digital radios are built with durability and longevity in mind, a longer battery life, and offer better construction than the competition. Spend less time and money on repairs. There is no need to convert an entire fleet. You can start the process towards digital without replacing every radio. Digital radios can perform just like existing analog radios, and digital radios used in analog mode offer a smooth transition from analog to digital. We continue to enjoy great service and dependability round the clock. We turned to Professional Wireless Communications (PWC) because of their solid reputation in the two-way radio industry. Every time I call I feel like the person on the other end of the phone is familiar with our setup and ready to help in any way. We are extremely pleased with PWC! The tech’s installation was also very professional as well. Anyone who is in the market for communication equipment for their fleet, hands down best service!